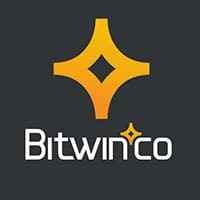 Bitwin.co is a simple betting platform that is designed specifically for Bitcoin, Blackcoin, Dogecoin and Litecoin, users who wish to bet on sports and other markets matches. It highlights simplicity and transparency, guaranteeing a user-friendly system that is both rewarding and entertaining. Bitwin.co gives betters the freedom to wager on any of the three options: a home win, an away win, or a draw. Betting on one of the choices involves sending coins to the corresponding addresses for each. They do not offer fixed-odds betting, though, as the projected return on investment (ROI) and odds vary depending on the bets entered by online players. You dont bet against them as bookmaker. You bet against other users and so you can get much higher odds. You're not logged in. Please login or join to add Bitwin.co review.